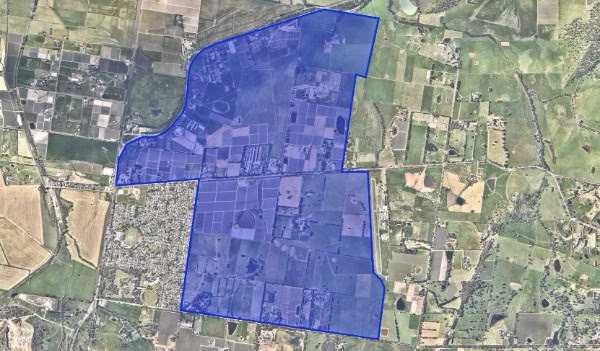 Following recent meetings with the major landholders within the revised potential rezoning area, we have been asked to prepare a budget cost that reflects the minimum expenditure required to prepare a preliminary case and justification to take to the State Government and associated Authorities for the rezoning of the proposed Urban Growth Boundary (“UGB”) land. The aim of this preliminary stage is to assess the responsiveness of the Authorities to approve the potential rezoning prior to the landholders investing further monies into the rezoning. Initiation of a property survey of the potential rezoning area and surrounds to ensure that the new infrastructure can be accommodated. The reports prepared from the above works will provide us with the critical data required to prepare our arguments that are central to the rezoning justification. Once the Preliminary Structure Plan has been created and all the documents are correlated for the Strategic Planning Overview, only then can we approach the authorities (bureaucrats, not the politicians) and seek their input on the likely success of the potential rezoning. It is envisaged that the above process will require approximately six (6) months to deliver (excluding the Christmas / New Year holiday period). Notwithstanding that we have been requested to provide a budget for the above scope of works, we believe that providing you with a fixed price is a more appropriate undertaking to minimize the risk to all land owners. Our fixed fee to undertake these works is seven hundred and fifteen thousand dollars ($715,000.00) including GST. However, given the risk that the landowners are taking to decide whether to proceed with the potential rezoning, we are also willing to share in this risk. As such, we are proposing to invest one hundred and sixty five thousand dollars ($165,000.00) including GST of our time into the above component of the project, effectively reducing the proposed fixed fee cost down to five hundred and fifty thousand dollars ($550,000.00) including GST. The project needs to get started, as we need to engage the required consultant team; therefore, we must be engaged by all relevant landowners, no later than Friday 22 December 2017. We will prepare our standard consultants’ service agreement for this purpose. Each owner will be required to sign the consultants’ service agreement. The reduced fixed fee must be deposited into our lawyer’s trust account by Wednesday 31 January 2018, so the project can be started promptly after the Christmas / New Year holidays. We will make progress claims against the fixed fee in the trust account as the works progress. You will authorize our lawyer to release payments in accordance with the consultants’ service agreement for costs incurred. Our final condition is that, upon confirmation by the authorities, either verbally or in writing, that they will consider the potential rezoning, all landowners must promptly enter into an owner’s cooperation deed to proceed with the potential rezoning as a matter of priority to ensure that we maintain momentum with the authorities. It would be our pleasure to invest our one hundred and sixty five thousand dollars ($165,000.00) of equivalent time alongside your contributions totaling five hundred and fifty thousand dollars ($550,000.00). However, if approval is provided after Friday 22 December 2017, our fixed fee will revert back to seven hundred and fifteen thousand dollars ($715,000.00) including GST. The above fees are proposed to be divided on a square metre of land basis and between the land owners who confirm their agreement to proceed. We await your timely advice whether you wish to proceed with the proposal offered. Please reply to this email to confirm your agreement to proceed so we can provide you with a copy of the proposed consultants’ service agreement. As always, if you have any questions please call me on my mobile 0412 2000 21.